Congratulations to Dr. Shuliang Jiao on his promotion to full professor! Dr. Jiao joined our department in fall 2012. His research interest is mainly focused on the development of innovative technologies for imaging and treatment of blinding eye diseases. Dr. Jiao is the P.I. for FIU’s Eye Imaging Lab. The long-term goal of the Eye Imaging Lab is research is to help prevent and cure blindness through technological innovations. Dr. Jiao’s lab is dedicated to the development of novel optical technologies for 3D high resolution imaging of the anatomy and functions of the eye in vivo. The optical imaging technologies the lab currently focuses on include Optical Coherence Tomography (OCT), Photoacoustic Microscopy, and Multimodal Imaging. These technologies serve as tools for the research and diagnosis of diseases such as age-related macular degeneration (AMD), glaucoma, and diabetic retinopathy. They also provide powerful tools for monitoring the functional regeneration of photoreceptors in regenerative medicine such as stem cell therapy. 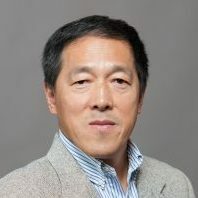 Dr. Jiao currently holds 7 patents, one of which was licensed to a leading ophthalmic technology development company, 3 patent applications, and several invention disclosures. His most recent patent was a device for assisting visually impaired patients. His research has been continuously funded by the NIH through major research grants. He has also received funding from the Department of Defense, the Wallace Coulter Foundation, and the JDRF (Juvenile Diabetes Research Foundation). Dr. Jiao’s work has also been featured in prominent medical journals such as “Medical News” and the “Review of Ophthalmology”.